If you’re currently living in an older home, your detached garage may be without electrical power. With a professional electrical installation, you can breathe new life into this dark, dingy space and add value to your entire property! 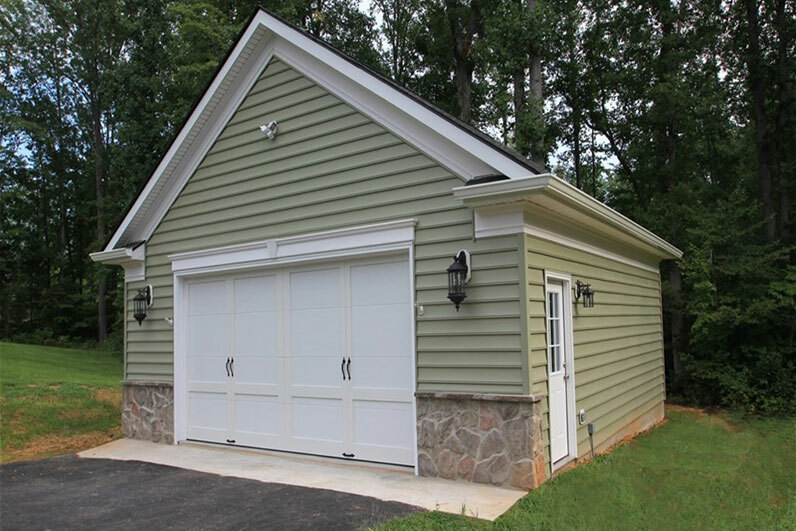 While adding electric to a detached garage may seem like a simple DIY endeavor, you can ensure both your safety and success by leaving the job to the professionals. Our electricians will ensure that your project meets all local code requirements and that any necessary electrical permits are pulled. The team at Milton Electric can determine your existing system’s capacity and help you decide whether you need to upgrade or just need to install a new sub-panel. We will ensure your measurements are precise and that all wires remain buried and out of sight. If you’re driving an electric car, we can also bring your aging garage into the future by installing the electric car charger charger you need. A garage separate from your home can become a risk for invasion, especially once attention-grabbing lights have been installed. Our team can assist you in setting up the proper home security measures to keep your space safe. Let us take the hassle and worry out of your next electrical project. Give the pros at Milton Electric a call today and start enjoying all your property has to offer, regardless of its age.